With Fidel Castro’s resignation, the age-old discussion was rekindled on message boards everywhere: What if the embargo ended tomorrow? 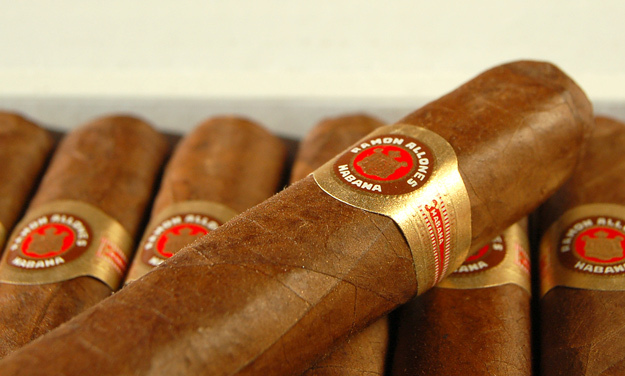 Could Habanos S.A. meet the explosion of demand? Could they do so without sacrificing quality? How much would Cuban cigar prices increase? And, most interesting to me, what would American smokers choose if Habanos suddenly appeared on the store shelves? I concede that Cuban quality has seen wild ups and downs since I started smoking in 1996. Increased production, bad harvests and dubious QC (between 1999 and 2003 in particular) resulted in substandard smokes. Meanwhile, non-Cuban cigarmaking came of age, generating a competitive if not superior product. No argument. But the smoker who assumes those “down years” for Habanos were the rule rather the exception does himself no favors. The 2006 and 2007 releases are among the best cigars I’ve smoked, bar none. And I’m not talking about $25 Limitadas. I’m referring to reasonably priced, regular production vitolas. The Ramon Allones Specially Selected is my Exhibit A. The RASS, measuring 4 7/8″ x 50, is not as glamorous as the Cohiba or Partagas D-No. 4. Yet it equals its more famous contemporaries in every other respect. The reddish-brown wrapper is thinly veined with a hint of sheen. It is firmly packed, yielding only slightly when pinched. With a box date of SEP07, I expected these to be promising but unmistakably young. Not so. The RASS begins with a simple, toasty tobacco flavor that lingers on the palate. It gathers steam steadily, picking up the earthy “twang” that typifies its origin, then leather, cocoa and roasted meat. Only when retrohaling do I detect pepper, vaguely reminiscent of a sungrown. I should note, however, that listing the flavor components does no justice to the sum of this smoke. By halfway, the flavors mesh seamlessly, making it difficult to identify a “base” flavor. In the second half, cocoa begins to take over, backed up by earth and a little more spice. To the degree that it reminds me of anything, the finish is something like the smell of a kitchen when brownies are in the oven. The final inch reverts to a more typical, but no less enjoyable tobacco richness. Smooth to the end. My only complaint about the RASS is that one of the three I smoked for this review required numerous touch-ups to the burn. I don’t make much of it, though, as the other two were perfect. The draw was above average for each sample. CONCLUSION: Even at this young age, the 2007 Ramon Allones Specially Selected displays all the traits attributed to legendary Cuban cigars of the 80s and early 90s — a classic look and build, extraordinary complexity and an understated, smooth power. At box quantities, the RASS averages $8.00 per stick. I’m not prone to breathless praise, but if the embargo did end tomorrow and the price rose by 50%, I’d still buy these all day long. This is the best Cuban cigar that I smoked in 2007. Period. Well said. And agreed. The only one I had that gave the RASS a run for its money was the Bolivar RC.